We pride ourselves in taking a team approach in serving clients. Each of us has our strengths and access to expertise of our team members. Together, we excel in market knowledge, product information, accounts, finance, tax, insurance, research... We help to set the direction right! 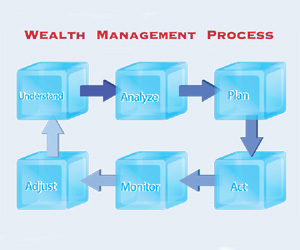 Managing wealth is not a one-time event and requires sustained efforts. We committed to long-term relation with our clients and we service our clients in every step of the way. We adopt a continuous improvement process and make adjustments in response to the ever-changing external environment and client requirements. On your quest for financial freedom, we are your trusted partner!